“Sticks” Jalen Smith is on his way to College Park in 2018. Maybe Maryland’s biggest get in a decade. 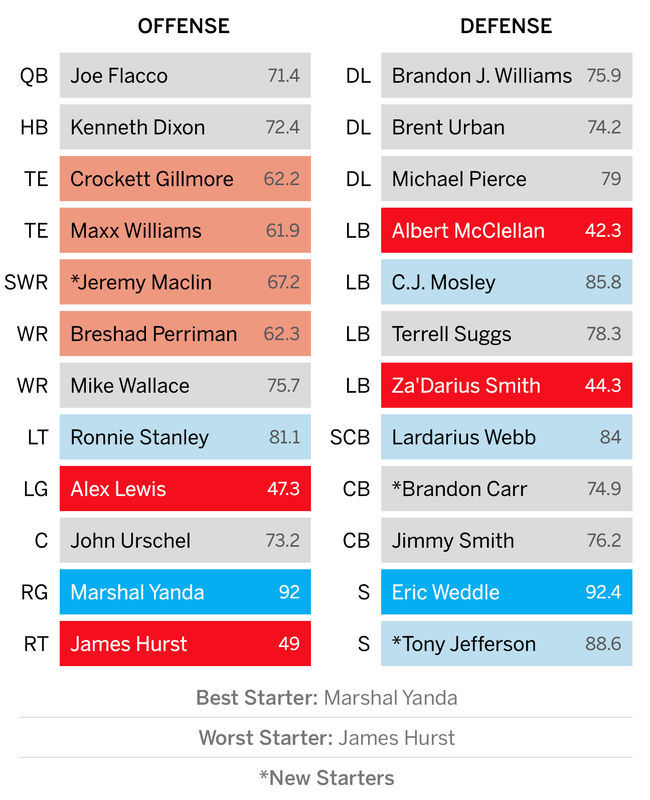 Biggest strength: Marshal Yanda is the league’s best guard and might be the best overall offensive lineman. He switched from right to left guard midway through last season and didn’t skip a beat, allowing just six total pressures. Biggest weakness: The Ravens’ top weakness might be the player lining up next to Yanda — right tackle James Hurst. Though he didn’t give up a sack in 305 snaps last season, he allowed 14 total pressures and has consistently graded poorly as both a run- and pass-blocker. By the numbers: Quarterback Joe Flacco‘s 71.4 PFF grade ranked 25th in the league last season. It marked the second consecutive season he posted a career-low grade. Though Jeremy Maclin helps, the Ravens’ offense still lacks weapons. Flacco needs to reverse this decline if Baltimore hopes to contend in the AFC North.